I did skim read some sections of Fear and Loathing in La Liga, this was due to the fact that I didn’t really know the players it was talking about or that era of football. It was still interesting but it didn’t have as much as an impact on me. The last section of the book was my favourite – basically anything from the late 1990’s. I’ve only been following Spanish football for about the last 8 years (so the stuff from that time I loved because I knew the players who were being interviewed and the matches they were talking about) but anything from the late 90’s I had a vague recollection of so that was more interesting. When Xavi, Andres Iniesta, Victor Valdes, Carlos Puyol and more were brought up from the youth squad to the Barcelona team – that’s where the book really started to resonate with me. As I’ve talked about before, I’ve supported the Spanish National Team since I was 15 – these are players I know and admire so seeing how they became the players they are today, which managers gave them their chances, who put together the signature Barcelona playing style and what these players think of the rivalry – is it mainly from the press and the fans who build it up or do players really feel that rivalry too? – was great to read about. You get to see the rivalry from both sides. There’s accounts from people at Real Madrid, players, managers, kit men and the press and there’s just the same from Barcelona. Also seeing how the history of Spain, and the cultural identity of Barcelona especially, factors into the two teams legendary competition shows the human side to the rivalry and to the two teams. 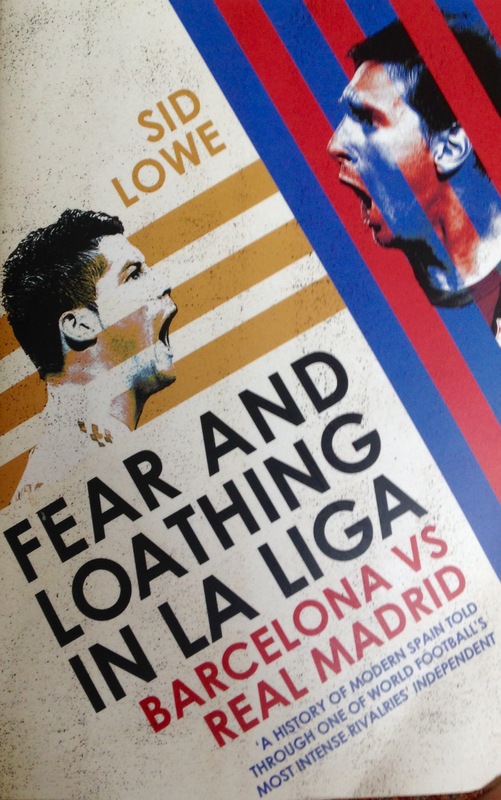 Fear and Loathing in La Liga is a great book for anyone interested in two of the biggest football teams in the world. It can be a bit dense but with so many great interviews it brings the history of the clubs – and of Spain – to life. 4/5. 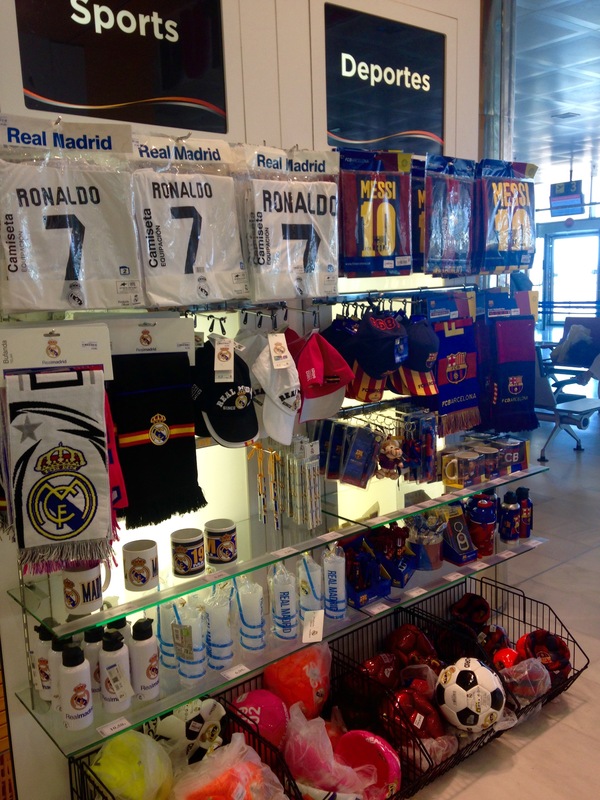 I read Fear and Loathing in La Liga: Barcelona vs Real Madrid in Spain and at the airport on the way home there was this display of Barcelona and Real Madrid merchandice (the airport I was in was hundreds of miles away from both Barcelona and Real Madrid). I thought it summed up the books points pretty well, no matter where you are there will always be this rivalry.